The feathers (wings) of the Mandarin duck (Aix galericulata) resemble the leaf of a Ginkgo tree and are called "icho-bane" (Ginkgo feathers) in Japanese. 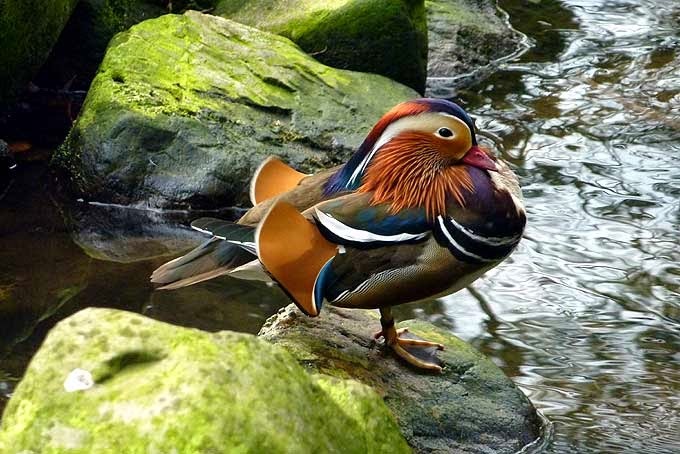 The Mandarin Duck breeds in Southeast Asia and Japan, and those from the Eurasian continent migrate to Japan or southern regions during the winter. Above you can see a photo I made of this beautiful duck, click on picture to enlarge.